Latter-day Saint history is scattered throughout the United States, from Southern California to New England. The most prominent may follow the trail of the Mormon Migration, but here’s a look at several sites that get into a deeper dive of Latter-day Saint history that could be overlooked. While many Latter-day Saints trekked across the plains to reach Zion, one group of Saints took to the seas. 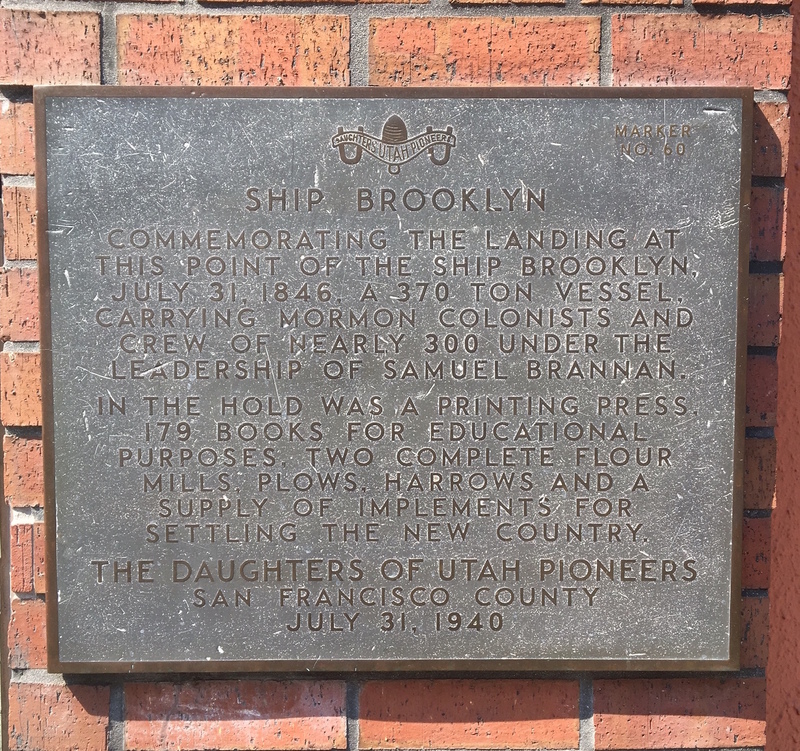 Sailing upon the Brooklyn, these Mormon refugees found safe harbor in San Francisco (then Yerba Buena) on July 31, 1846. 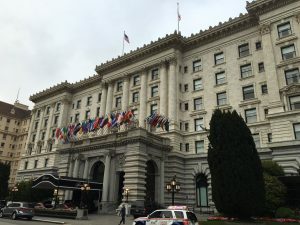 Mementos of their journey are scattered around Chinatown and downtown San Francisco, marking the many firsts Latter-day Saints brought to fledgling Yerba Buena. California’s first newspaper, the California Star, was printed on a press the Saints brought across the seas. A small plaque marking its spot sits tucked in the entryway of a pagoda-style building on Washington Street that once housed the Chinatown Exchange. Today it’s an East West Bank. Latter-day Saints also established San Francisco’s first public school in 1847. A marker to this sits in the southwest corner of Portsmouth Square, the heart of Chinatown. It was here in May 1848 that Brannan announced the discovery of gold — he’d chosen to stay behind and work at Sutter’s Mill while the bulk of the Brooklyn Saints trekked eastward to the Salt Lake Valley. But the Brooklyn Saints aren’t San Francisco’s only tie to LDS history. President Wilford Woodruff, fourth president of the LDS Church, died at the Isaac Trumbo home on Sept. 2, 1898. Although not a Latter-day Saint, Trumbo had lobbied for Utah statehood and remained close with Woodruff. 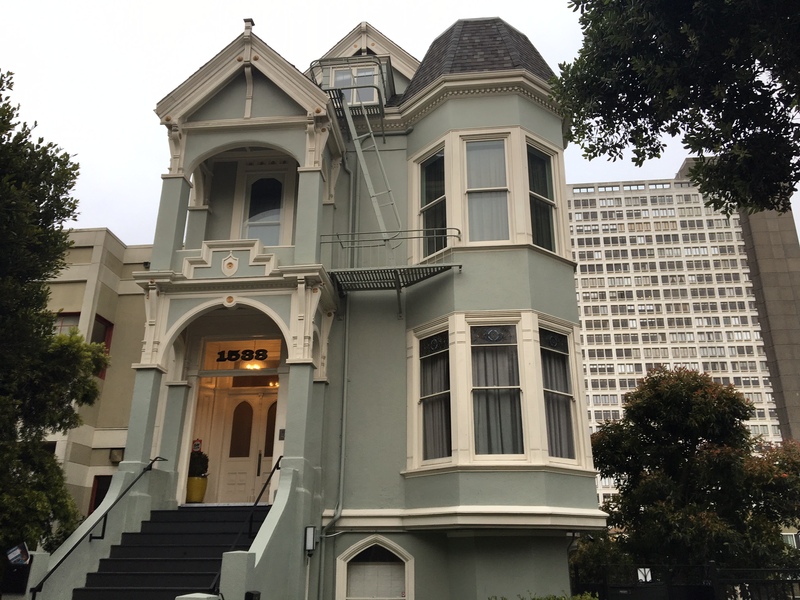 His beautiful Victorian home still stands on Sutter Street. While sitting in the Fairmont Hotel’s rooftop terrace atop Nob Hill in 1928, then-Elder George Albert Smith prophesied of a temple overlooking the San Francisco Bay: “I can almost see in vision a white temple of the Lord high upon those hills, an ensign to all the world travelers as they sail through the Golden Gate into this wonderful harbor. A great white temple of the Lord will grace those hills, a glorious ensign to the nations, to welcome our Father’s children as they visit this great city.” His words became reality when the Oakland California Temple was dedicated four decades years later. 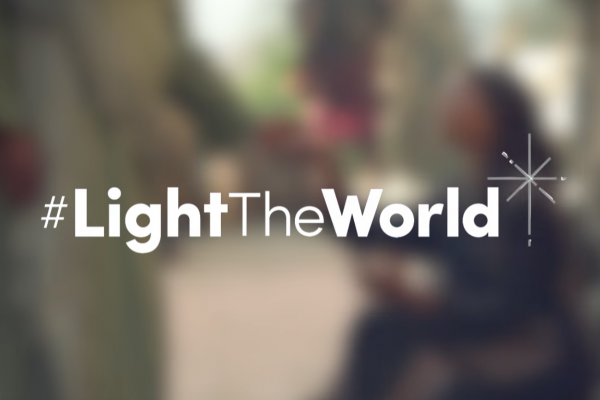 San Francisco was also home to the workshop of Philo T. Farnsworth, a Latter-day Saint who invented television. A statue of Farnsworth adorns the sprawling grounds of the Presidio, celebrating his world-changing creation. A small plaque at the bottom of Battery Hill notes the location of Farnsworth’s historic workshop on Green Street where the first television image was transmitted. 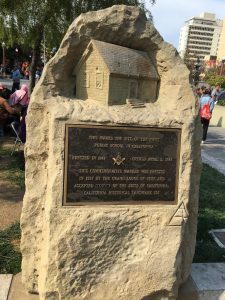 San Diego may be home to the most well-known Mormon Battalion monument, but it isn’t the only one. Monuments and plaques commemorating the 2,000-mile journey are scattered along the trail from Iowa to California. 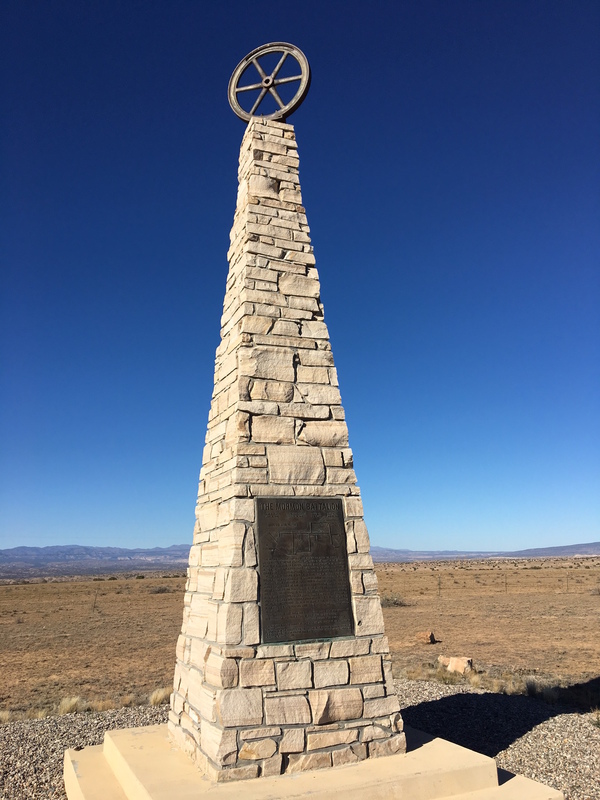 One of the most eye-catching monuments sits to the west of Interstate 25 about halfway between Santa Fe and Albuquerque. After camping in Santa Fe, the Mormon Battalion resumed its march toward California. Without a trail to follow, the men blazed a new trail by following the Rio Grande — and a wagon wheel atop an obelisk marks this feat. During childhood, Joseph Smith spent time healing from his famous leg surgery at his Uncle Jesse’s home in Salem, Massachusetts. Smith returned to the town in 1836 along with fellow church leaders Hyrum Smith, Oliver Cowdery, and Sidney Rigdon, seeking treasure to help pay the financially burdened church’s debts. Instead the men were promised treasures of other kinds and divine debt assistance in what’s known as Section 111 of the Doctrine and Covenants. 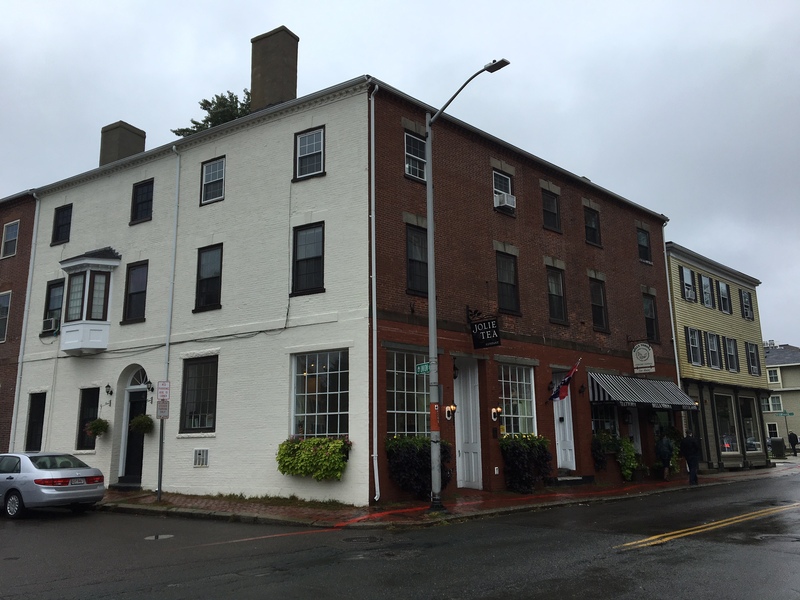 According to the Essex Register, the men leased a tenement on Union Street; the sole tenement building on the street sits at the northwest corner of Union and Herbert streets. Among the treasure the men found was the later conversion of Nathaniel H. Felt in 1843. Felt became president of the Salem Branch the next year, and President Brigham Young’s daughter Vilate lived with the Felt family while studying in Salem. Felt’s home was moved in 2001 from its original location on Liberty Street to its current spot on Charter Street. A plaque notes its significance as an important Mormon gathering place. 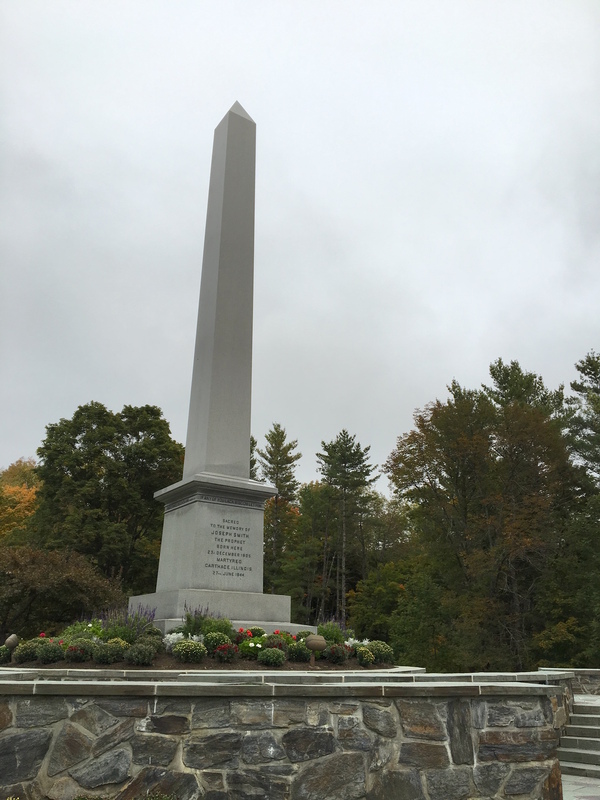 Tucked away on the border of tiny New England towns Sharon and South Royalton, Vermont, is a monument to where Joseph Smith was born on his maternal grandparents’ farm in 1805. A century later, President Joseph F. Smith returned to his uncle’s birthplace to dedicate the birthplace memorial, featuring a 50-foot, 99-ton granite obelisk reminiscent of the Washington Monument. A visitor’s center shares the farm’s history and the global impact of Smith’s legacy. Joseph Smith wasn’t the only Latter-day prophet born in Vermont. President Brigham Young was born in Whitingham, Vermont, and his birthplace about 100 miles south likewise is commemorated with a granite monument, albeit smaller in scale. The 12-foot monument is one of several markers in town paying homage to Whitingham’s most famous son. While serving a mission to the Eastern States, Elder Parley P. Pratt of the Quorum of the Twelve Apostles was murdered in Arkansas on May 13, 1857. Witnesses to the murder rushed to help Pratt and laid him to rest in the Wynn Family Cemetery in Alma, Arkansas. 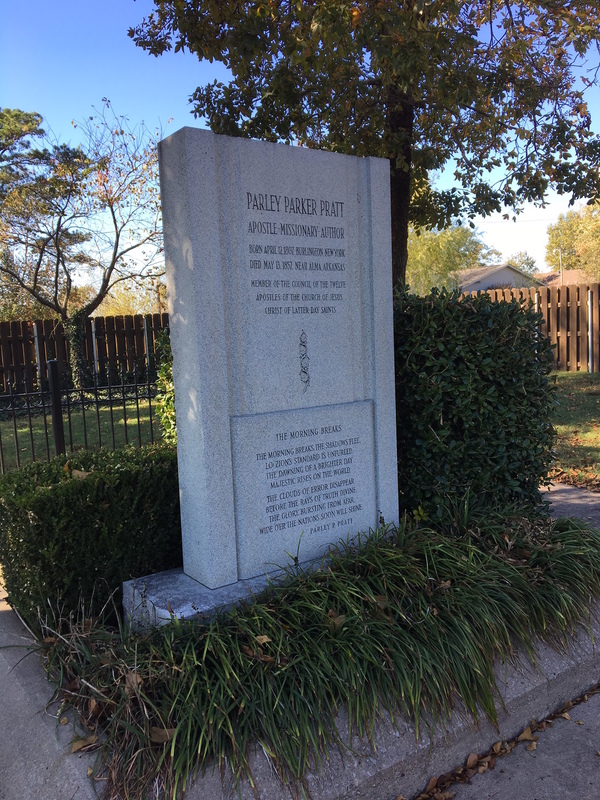 A century later, Pratt descendants and the LDS Church erected a monument, with tablets paying tribute to Pratt’s work in the Restoration. 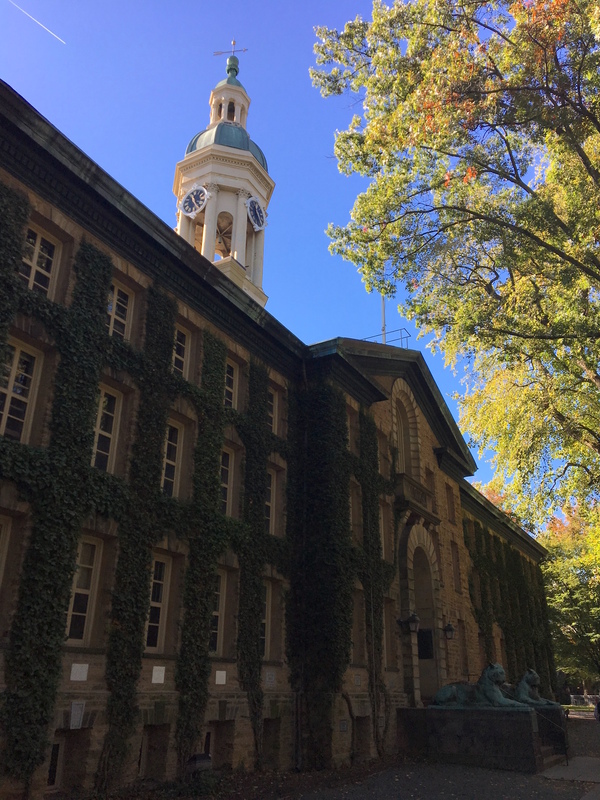 Prestigious Princeton University is home to more than Ivy League brilliance. Its Firestone Library houses one of the most comprehensive collections related to Mormonism outside of Utah, with more than 3,000 books spanning 500 subject headings. Among its titles are first editions of the Book of Mormon (1830) and Doctrine and Covenants (1835). 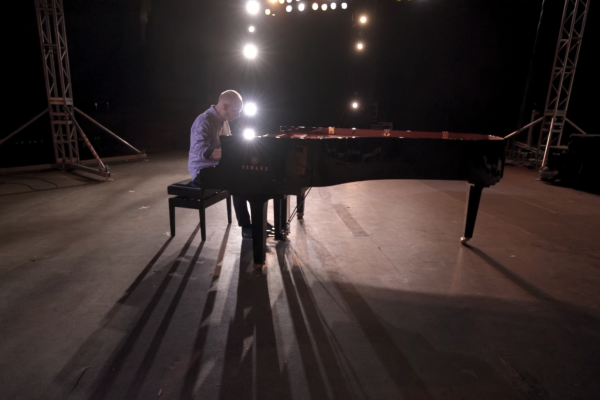 Princeton is also noteworthy as the birthplace and childhood home of President Henry B. Eyring; his father, chemist Henry Eyring, was a professor at the university from 1931 to 1946. Mormonism is sometimes called the American religion, so it’s fitting that artifacts from the faith are found in our nation’s capital. A marble likeness of Brigham Young sits in the National Statuary Hall, representing Utah in the collection. The statue was created by none other than Young’s grandson, Mahonri Young, who also created the This is the Place Monument and Seagull Monument in Salt Lake City. 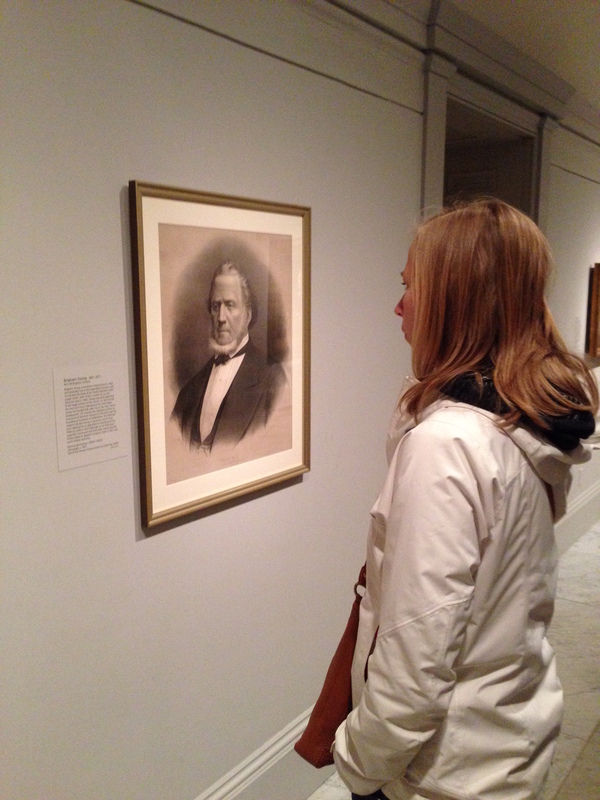 Brigham Young makes an appearance as well in the Smithsonian’s National Portrait Gallery’s East Gallery 120. A photograph of Young hangs next to a portrait of his predecessor, Joseph Smith. 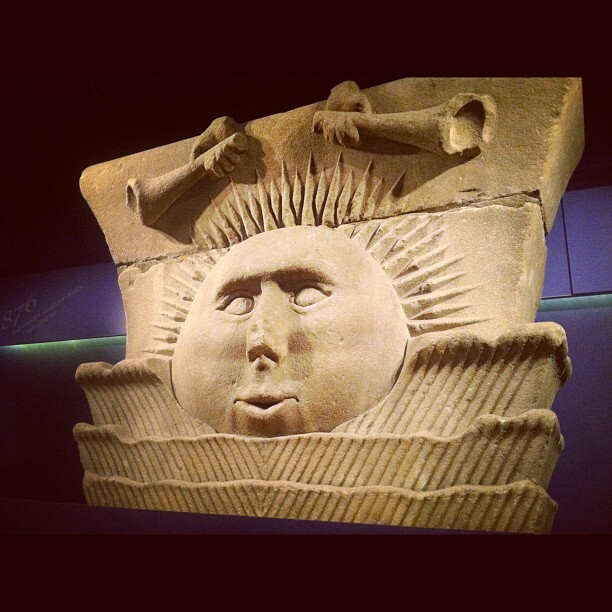 The Smithsonian’s National Museum of American History features a sunstone from the original Nauvoo Temple. For the next year, that stone will be joined by a number of artifacts from early Church history in the “Religion in Early America” exhibition that opened June 28. On display will be a handwritten page from the Book of Mormon manuscript, an 1830 edition of the Book of Mormon, two banknotes from the Kirtland Safety Society, and two rare gold coins minted in Salt Lake City using gold from California. 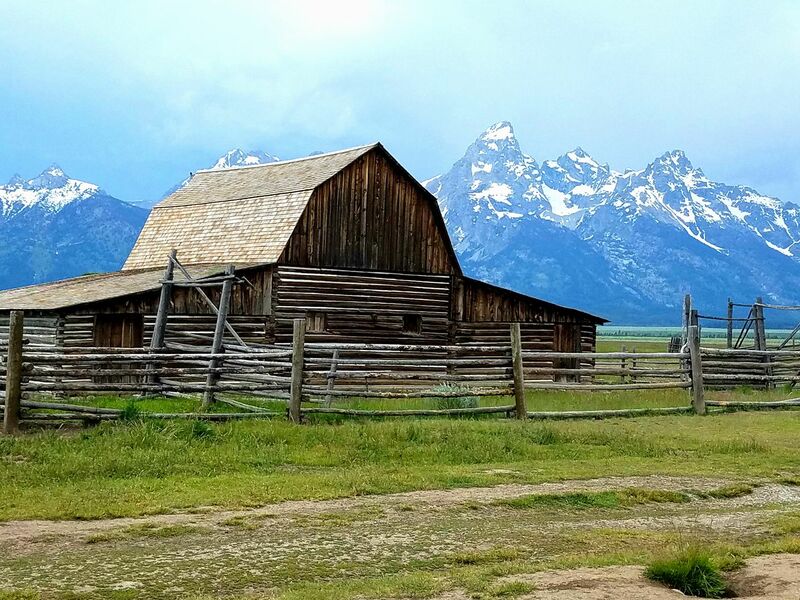 Ever seen iconic photos of barns with the Grand Tetons in the background? Chances are the barns were among those on Mormon Row in Grand Teton National Park in Jackson Hole, Wyoming. Mormon Row is so named because of the Mormon homesteaders who came from Idaho to settle the region in the 1890s. Photographers from across the globe have traveled to capture the majesty of the Grand Tetons with the iconic Moulton barns in the foreground. The Mormon Row district was added to the National Register of Historic Places in 1997. When Brigham Young sent Latter-day Saints to colonize the West, the assignments spanned from Mexico to Canada — including many in Arizona. Remnants of these Mormon colonies still linger throughout the Grand Canyon State. 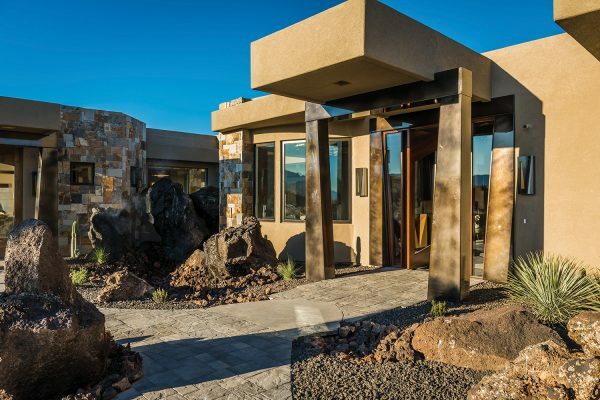 The eastern Arizona town of Snowflake continues to be a vibrant Latter-day Saint community. 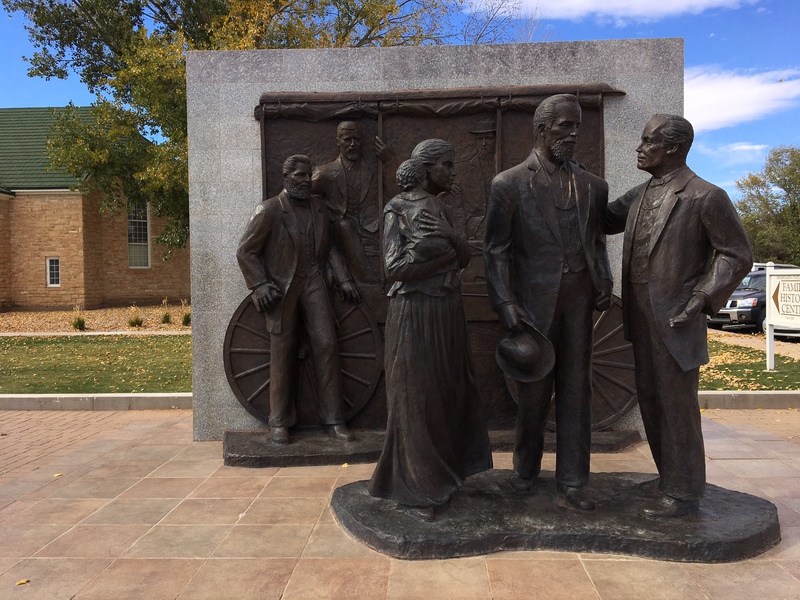 Its heritage is noted with The Snowflake Monument, which shows the trailside meeting in 1878 that led to the town’s name — a mashup of founders’ names William J. Flake and Erastus Snow. Tucked beneath northern Arizona’s Vermilion Cliffs is Pipe Spring National Monument, which preserves the history of Mormon settlers in the high desert not far from the modern Utah-Arizona border. The National Park Service offers tours of Winsor Castle, a fortified ranch house named after ranch manager Anson Perry Winsor. After Joseph Smith’s martyrdom in 1844, several men claimed to be the heir-apparent to LDS Church leadership. Among them was James J. Strang, who had a letter he said Joseph Smith wrote, appointing him as the next prophet. In 1850, Strang and his followers moved to Beaver Island in northern Michigan and established an ecclesiastical monarchy with Strang as king. 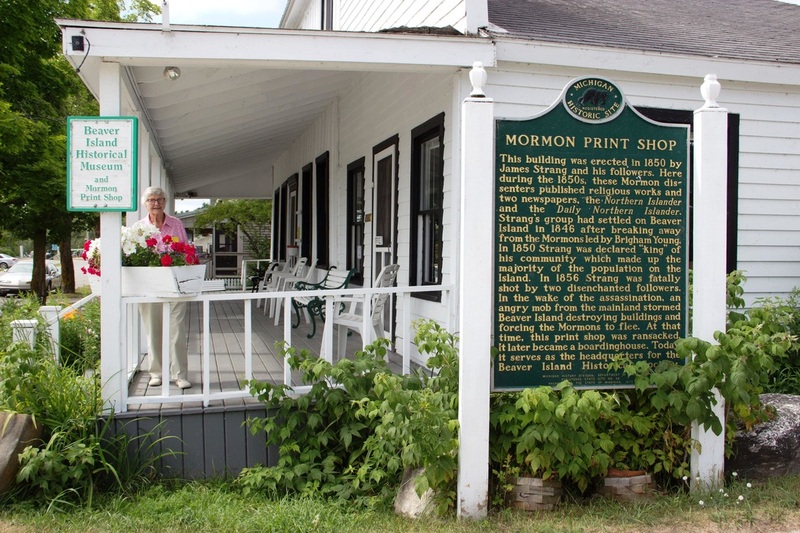 While Strang’s group later moved to Voree, Wisconsin, the Old Mormon Print Shop remains on Beaver Island. Today it functions as museum run by the Beaver Island Historical Society, and the 1850 building is on the National Register of Historic Places. Do you have a hidden Church history site to add to the list? Tell us in the comments. In Collinston, Utah, the impressive stone ruins of the Hansen Dairy continue to deteriorate. The dairy was an important component of the Brigham City Cooperatve, one of the most successful of the United Order enterprises. Run by Danish immigrants, the dairy was the largest dairy west of the Mississippi. The Hansen family placed a marker there about 5 years ago, which tells the story. Not on the beaten path, but a beautiful spot. 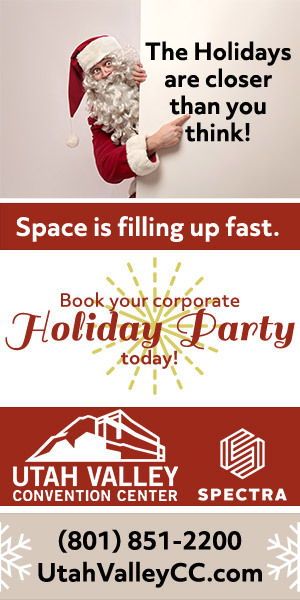 My family was part of the Brigham City Cooperative! Mads Christian Jensen was the first miller in the co-op, and his sons eventually opened what is Big J Milling today. Love Brigham City’s history! I’ll have to look for this next time I’m up that way.